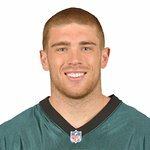 Philadelphia Eagles TE Zach Ertz has launched the ‘Catches for the Community’ fundraising campaign on Pledge It. With every catch in the 2018 regular season, Zach and his fans will raise funds for the Ertz Family Foundation “City of Love Fund,” a grant-making program that will support local Philadelphia and surrounding area charities that align with the foundation’s three pillars of service areas: youth sports, education and family. Zach and Julie Ertz are kicking off the campaign by donating $100 per catch. The ‘Catches for the Community’ campaign is currently open and begins with the first game of the regular season on Thursday, September 6th when the Eagles welcome the Atlanta Falcons. “There is no better fan in all of sports than our fans. We are excited to see all the work we can do together to make sure that my catches this season make a difference in our communities,” states Zach Ertz. Zach and Julie launched the Ertz Family Foundation on July 21, 2018 at a gala in Northern California. The event raised more than $200,000 for the foundation, with a portion of the proceeds benefiting Mission of Hope – Haiti, College Is Real, and Friends of Kensington High School charities. Fans can match Zach and Julie’s pledge, make a pledge of any amount for every catch that Zach has throughout the regular season, or make a one-time donation on the Pledge It website. Anyone whose total pledge or donation equals $50 or more will be entered to win two tickets to a 2019 Eagles game and a signed Zach Ertz jersey. Fans also have the opportunity to create a fundraising team for the campaign. To sign up, make a one-time donation or to create a fundraising team, please click here.